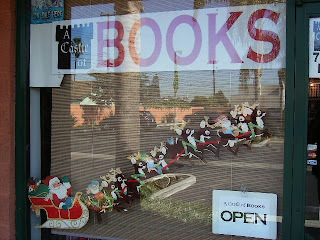 A Castle of Books-mobile just past 200k mileage last night..
Found some old christmas decorations at the bottom of a box, so put them up. Cleared out some of the boxes from in front of the counter. Moved them behind the counter, but at least the customers can get down the isles a bit better.